From March 13 to 15, 2018, LOPEC, the international exhibition and conference for the printed electronics industry, will provide information on state-of-the-art technologies, trends and new markets for printed electronics. In addition to sectors such as the packaging industry, the consumer electronics industry and the mobility sector, the healthcare market is becoming increasingly important. 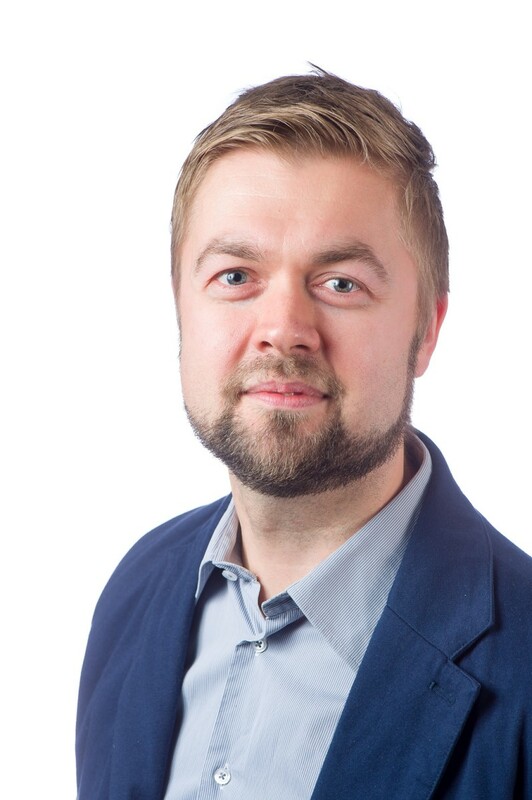 In an interview, Teemu Alajoki, senior scientist at the Technical Research Centre of Finland VTT and speaker at the LOPEC conference, illustrates the potential of printed sensors in the medical field. Mr. Alajoki, you develop sensors for medical applications. What do these sensors measure? Sensors can be used to monitor a wide variety of physiological parameters. Applications range from monitoring body temperature and respiratory rate to use in electrocardiography (ECG), electroencephalography (EEG) or pulse oximetry, a method for measuring the oxygen saturation in arterial blood. How do you manufacture the sensors? We print with silver inks and other mostly inorganic inks on flexible and stretchable plastic films. We have developed multiple methods and use, for example, reel-to-reel printing processes. Printed sensors can for example be integrated into skin adhesives as well as bandages or band-aids. We have not yet integrated them into textiles, but that could be the next step in some application areas. Why do you use printed electronics? The biggest advantage of the printed sensors is that they are not as bulky and voluminous as conventional sensors. They ensure much higher comfort for patients as they wear the sensors close to their bodies. The flexibility and conformability of printed electronics is a key factor for wearing comfort but also for the functionality of sensors worn close to the body. In pulse oximetry, for example, which is, among other things, used for monitoring during anesthesia, an optical sensor is placed around the patient's fingertip. 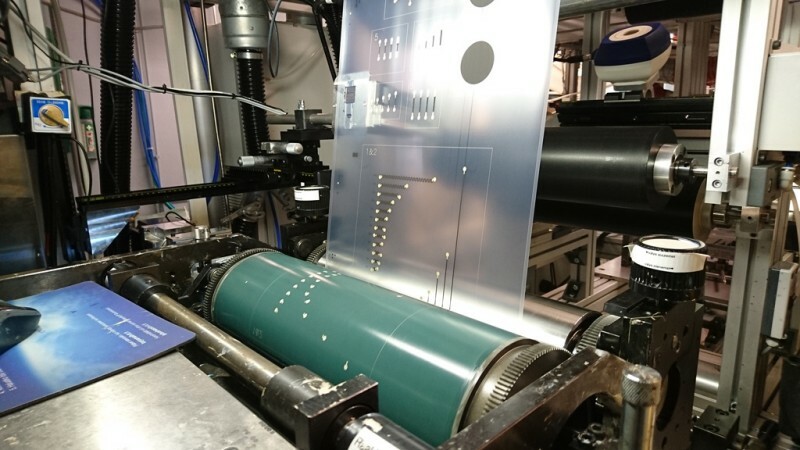 The low production costs of printed electronics also play a decisive role, because the trend is for medical sensors to be used just once and only for one patient. Printing processes reduce costs significantly. However, there is still a need for further development in this area, especially with regard to the automation of the mass production of printed electronics components. Sensors and other components for medical applications need to be particularly reliable. Does printed electronics meet this requirement? Yes, absolutely. Actually, for instance in pulse oximetry, disposable sensors utilizing printed electronics are already commercially available. This shows that the reliability of the printed electronics can indeed be at an adequate level for medical sensors. The main challenge is to ensure a high level of wearing comfort and at the same time reliable stability—despite the mechanical stress in certain applications or in case of patient movements. Here, we have made significant progress. Long-term reliability, in turn, plays a minor role, at least for disposable sensors, which are only used for a short period of time. What are the advantages of these disposable sensors? The main reason for using disposable sensors is to prevent the transmission of pathogens and thus obtain better infection control in healthcare facilities. In pulse oximetry, for instance, one reason for the use of disposable sensors is because disinfection is expensive and despite careful cleaning, there is always a residual risk that germs will survive and spread. Multi-resistant bacteria pose an ever-increasing threat to patients in many countries. Disposable sensors can minimize this problem. Apart from sensors for monitoring body functions, what other medical applications will benefit from printed electronics? Printed electronics can be used not only for monitoring or diagnostics, but also in therapy. In pain treatment, for example, there is a method called electrostimulation. It is based on electrodes that sit directly on the skin and release pain-relieving electrical impulses. Similar to the sensors we are developing, printed electronics can improve wearing comfort and functionality. The Technical Research Centre Finland VTT is one of LOPEC's regular exhibitors. What will you and your colleagues present this year in Munich? In my presentation at the LOPEC Conference, I will give an overview of our work in the field of medical sensor technology, from the production of prototypes using mass patterning techniques to the various test procedures with which we characterize and test the sensors under realistic conditions. Over the past two years, the VTT has further enhanced its reel-to-reel printing systems, so that several steps previously carried out manually are now automated. My colleague Tuomas Happonen will talk about this in his poster presentation. The VTT will also demonstrate many other new developments at our booth. To what extent does LOPEC drive the development of printed electronics for medical purposes? It is most important that key players from industry and science meet regularly to build networks. As an annual event, LOPEC offers the ideal setting for this purpose and the VTT is always represented by five to ten researchers in Munich. I am already looking forward to many exciting conversations with members from the printed electronics industry at LOPEC 2018. Many people think that printed electronics is not yet ready to be used in the medical field—they will be surprised by the advances and the many new developments that are about to be commercialized. 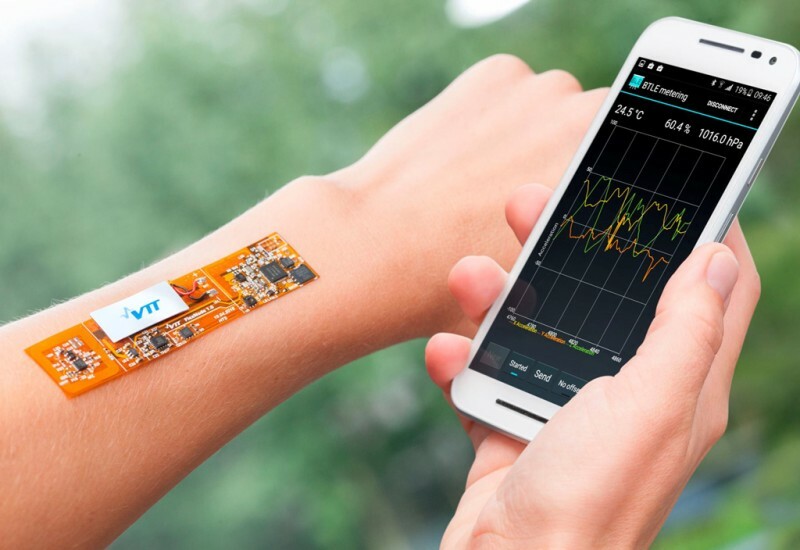 VTT FlexNode: VTT’s FlexNode platform utilizing Bluetooth LE can be used for various wearable measurements such as body temperature. Teemu Alajoki: senior scientist at the Technical Research Centre of Finland VTT and speaker at the LOPEC conference.